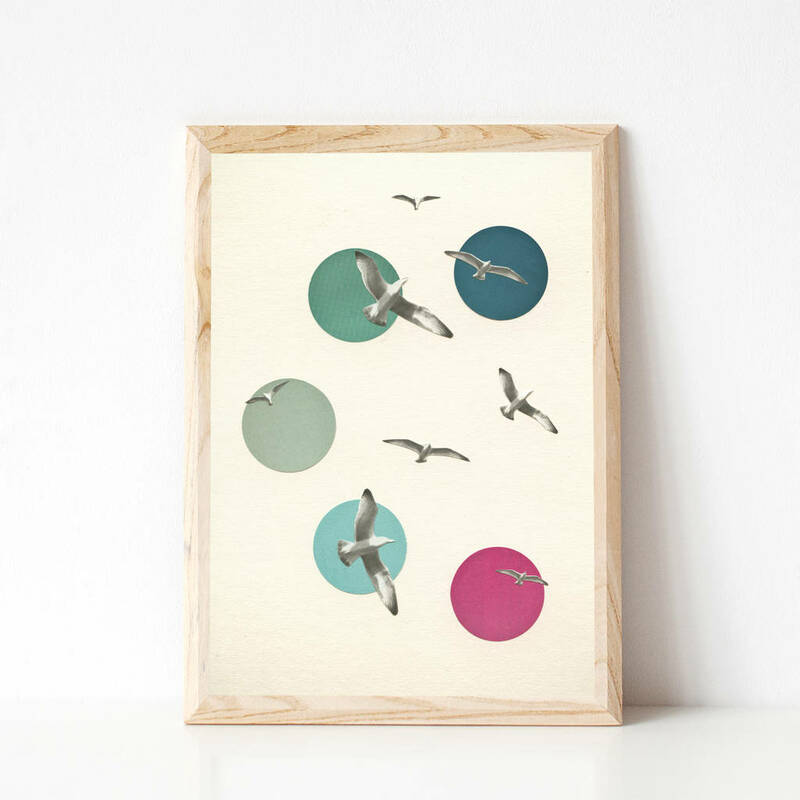 An abstract coastal print featuring seagulls in flight. 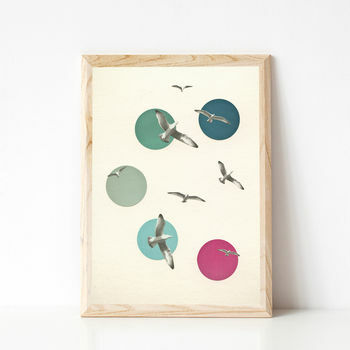 A pretty coastal art print featuring birds in an abstract sky, the colours of the sea. Perfect for a coastal themed house. 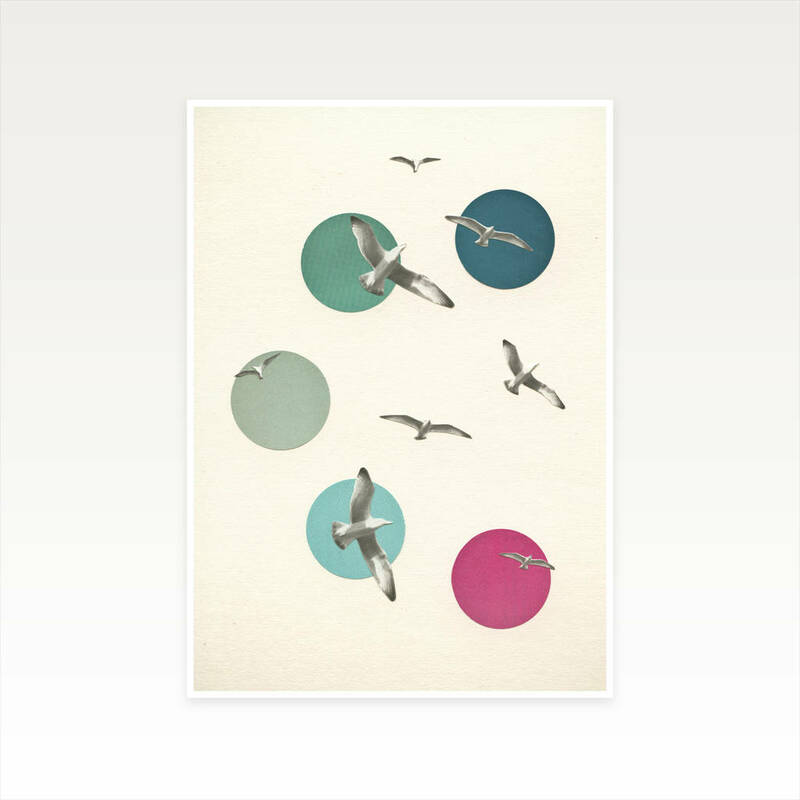 This print would make the perfect gift for any bird lovers out there or lovers of the sea.